As healthcare payers shift their focus to value-based care, smart hospital leaders recognize that digitization is necessary to make that critical transition from volume to value. The Centers for Medicare & Medicaid Services (CMS) clearly sees the connection between digital patient connections and value; digitization is woven into the fabric of every new incentive plan the organization introduces. Why? CMS is insisting on engaging patients throughout their entire episode, not only during the in-hospital stay. Technology enables this expanded engagement. 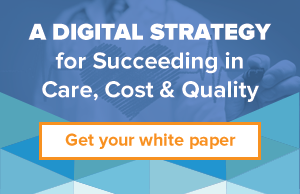 Hospital leaders who promote consistent digital interactions before, during and after the hospital stay will see the greatest return on patient care, outcomes and cost—the 3 most important measures of value-based care. Technology enables you to pre-emptively set up hospital-to-patient communications once and automatically deliver them at just the right time. 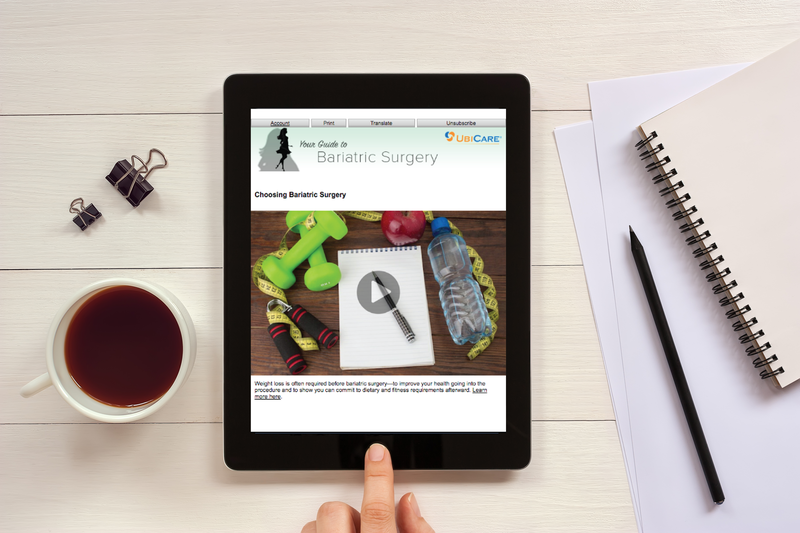 You now have a multitude of opportunities to educate patients about their care beyond appointments, pre-op or classes. Any platforms that you want patients to view or interact with must be accessible on all major devices, and work with all standard browsers and operating systems. It's too easy for patients to walk away if their experience is flawed. Communications must be secure and user-friendly—for patients to view and for hospital staff to manage. 3. Guide patients with reliable information. Keep content short, but offer places for patients to dig deeper. Your patients will read in-depth information about their care if you deliver it when they're ready to hear it and in the way they want to receive it. Patients want health information from their doctors and hospitals, but they will search online for health information if you don't provide them with reliable, source-able resources. 4. Interact with patients no matter where they are. Promote a two-way conversation between patients and providers. This can easily be done digitally with secure, HIPAA-compliant technology. Allow opportunities for patients to interact——whether by answering surveys, playing games or other using health tools —and track their interactions to collect data that measures individual patient progress and helps manage population health. 5. Connect with other systems. All of your digital systems should be interoperable, compatible and connected. 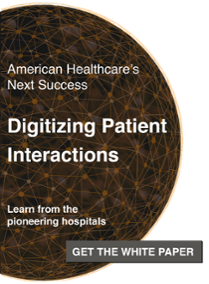 Here are 5 additional tips and more information about how top hospitals digitize patient interactions to improve HCAHPS scores. CMS, with the support of top economic experts like McKinsey & Company, is pushing all hospitals to think outside the box and to create a digital backbone to improve health, lower costs and provide better care. Embracing the fundamental switch to digitization in healthcare isn't just a nice extra for some hospitals. It's a must for all hospitals.